One of the most famous of all Soviet filmmakers, Andrei Tarkovsky (1932-1986) created just seven films in his short lifetime- all of which were masterpieces. Considered one of the greatest filmmakers of all time (along with Ingmar Bergman, who recalled the experience of seeing Tarkovsky’s debut as ‘a miracle’, and Robert Bresson, another of his main influences as a director), Tarkovsky made films that were deeply spiritual, almost all featuring characters who are in deep existential crisis, who have an profound awakening by the end of the story. Tarkovsky was the son of prized Russian poet Arseny Tarkovsy (whose work he included in some of his films and his book, Sculpting in Time), and was also known for his strict artistic conviction and views about the moral role of artists. He believed that ‘modern art’ had taken a wrong turn somewhere along the way, and had abandoned its ‘search for the meaning of existence in order to affirm the value of the individual for his own sake’. Artists, he argued, were failing to acknowledge the gift they were given in being artists, and were failing to communicate to the world in a necessary way. In order to reconcile this gift, the artist must sacrifice himself and create works that teach what it means to be human; modern art had been stripped of all its humanity. Tarkovsky, like Bergman, was also accused of being too serious or having no sense of humor. His films contain very little comedic value, and meditate on serious subjects and concepts, yet offer the viewer a great sense of hope. 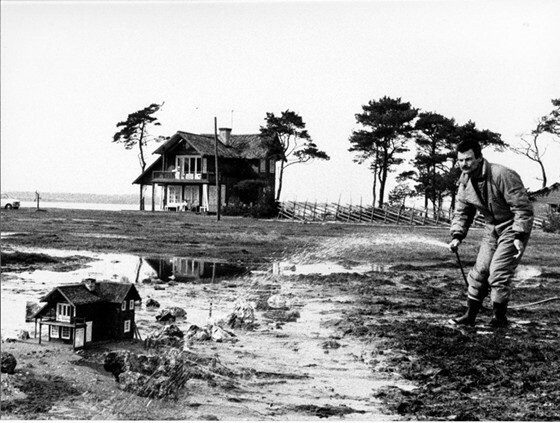 Nature also played a large role in Tarkovsky’s films, often being a character in itself, such ‘The Zone’ in the 1979 film Stalker. Japanese film legend Akira Kurasawa, in his obituary for Tarkovsky, explained the difficulties of filming nature and just how revelatory Tarkovsky made nature seem in his films, with how delicate he treats the subject: “If you see nature with an insightful delicacy, it follows that you treat humanity with the same kind of delicacy. In contrast, Hollywood counterparts are, on the whole, rough and careless.” There is often a comparison to Hollywood when people talk about Tarkovsky’s films, specifically just how NOT-Hollywood they are. This is due, one could argue, to the pacing Tarkovsky employs in almost all of his films (save for his debut, Ivan’s Childhood, which features a more conventional structure). They’re often described as languid, slowly revealing facts or clues about the characters over long scenes- but through this we are glimpsing into the thought processes of the characters, feeling for ourselves their doubts, their emotional trials, and moving through dilemmas and spiritual crises with them. In fact, Tarkovsky even stated in his book Sculpting In Time that there must be a substantial part of each film dedicated to ”devoted to the slowly passing minutes of anticipation, delays, and pauses, which are far from being ventilation holes in the narrative progression.” This narrative progression does help us connect more emotionally with the characters, if we as the viewers are truly focused on the film. Due to the fact that, as stated previously, these are not Hollywood-type films, viewing the film can be a trial in itself. In addition to the slow pace of the films, there are often parallel narratives in some of Tarkovsky’s work, and we are sometimes unable to tell the place, time, or reality of at least one of these narratives (the scenes of Stalker’s home-life in Stalker). There is also a great deal of stark symbolism throughout the Tarkovsky canon, from tracking shots of relics underwater to burning barns, to windswept fields that somehow give a sense of menace, and seemingly haunted forests that contain no signs of the war they contain. The profound experiences of Tarkovsky’s characters are often reflected in these symbols, as well as nature’s profound experience as affected by human nature- it is hard not to see the famous dream sequence in Stalker, in which tools created by man (a mirror, a syringe, money, a religious portrait) are shown rusting in a shallow pool of water, rendered meaningless, or at least useless, in the face of the great mystery of the zone. It is among the most enduring images in cinema history, and deeply moving. Like other titans of film such as Orson Welles and Francis Ford Coppola, Tarkovsky often had issues with the creative control of his films, as Russian censors felt his films too spiritual in content for the atheist and authoritarian ideals of the Soviet Union. 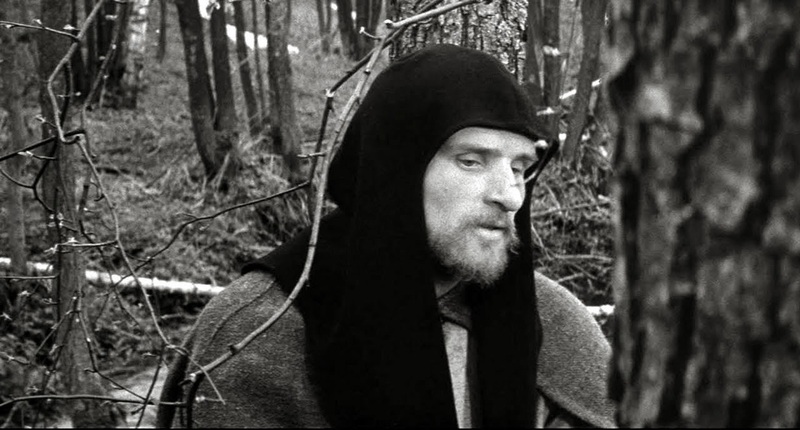 This led to the limited release of many of his early films, including his second film, Andrei Rublev- the film was completed in the summer of 1966, but only received one initial screening that year, and didn’t get an official release in the Soviet Union until 1971 (two years after it won the critic’s prize at Cannes, at the 1969 festival). The film was also cut by 40 minutes when it was finally released in the United States, and a whole hour was taken off the film when released in the United Kingdom in the early seventies. He would often not get the final edit. 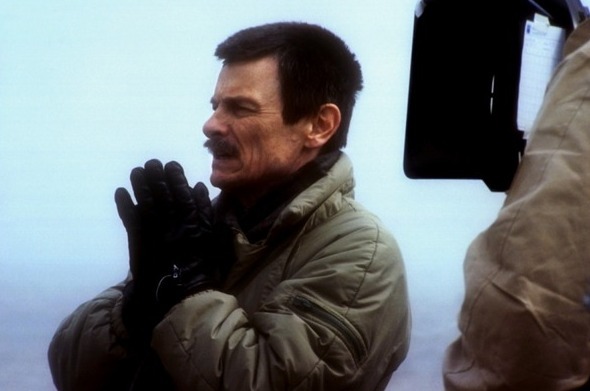 In the early 1980s Tarkovsky exiled himself to Europe in order to escape the oppression of his art, and completed his last films in Italy and Sweden. He succumbed to lung cancer in Paris, France at the age of 54. In Chris Marker’s documentary film One Day in the Life of Andrei Arsenevich, which has footage of the dying filmmaker in the last stages of his life, there is a scene explains that at one point, a fortune teller informed Tarkovsky that he would complete only seven films in his lifetime. The dying filmmaker could as least die knowing they were all good films, and you can go further by saying that these seven films add up to almost a complete life’s work, everything leading up to his final masterpiece in 1986, the transcendental film simply called The Sacrifice. 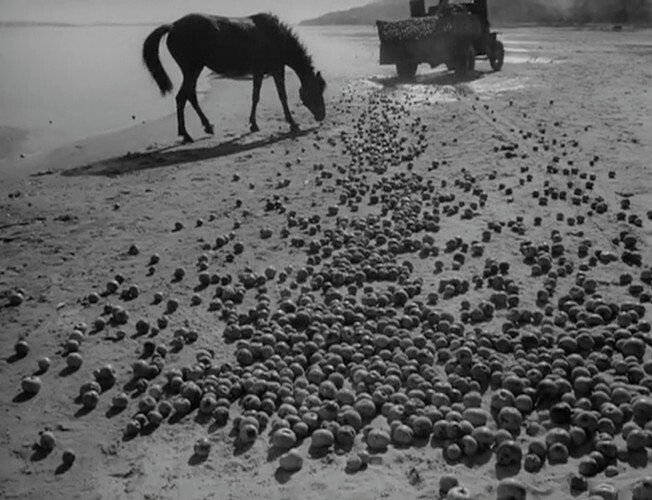 One can almost get the sense that, through his work, Tarkovsky was more aware than the rest of us that he was on borrowed time, and did in fact make a complete artistic statement. After five intense years of study at the All-Union State Institute of Cinematography (now known as the Gerasimov Institute of Cinematography, or V.G.I.K. ), Tarkovsky set out to make his first feature length film. A World War II film that depicts the human cost of war, this is one of several Russian films of the time period, as it was a way that many new directors tried to break in. What sets Ivan’s Childhood apart, however, is the film’s visionary style and beautifully rendered depiction of a youth destroyed by the horrors of war, and innocence lost. Ivan, the protagonist, is a 12-year old boy, working as a spy for the Russian army. Having both his parents and his sister killed in the war, he has made it his life’s mission to seek his revenge. His soul has become rotten, and he is completely consumed by the desire for vengeance. The Russian military, despite taking advantage of Ivan’s tiny size for reconnaissance mission, tries to send Ivan to military school for safety, but the boy insists on remaining on the front lines. We see a negative force burning through his piercing eyes, his weary movements (that seem so strange for a child, his energy seems reserved more for a bitter old man) and general malaise. In its 1963 review of the film, the New York Times called Ivan’s Childhood a “cry of anguish for all youngsters lost in World War II, for the youths whose lives were exhausted in hatred, bloodshed and death.” The sense of internalized violence is portrayed through the dream sequences of the film, which interspersed with the bleak scenes of war and Ivan’s current reality show us what really gets lost through the carnage of war- innocence. The film won the Golden Lion award at the Venice Film Festival (tied with Valerio Zurlini’s Family Portrait), and staked Tarkovsky’s place in International Cinema. It also won awards at the San Francisco International Film Festival, and was selected (but ultimately not accepted) as the Russian candidate for the Academy Awards. It also was highly acclaimed among the intellectual community at the time, including a piece defending the film written by Jean-Paul Sartre, as well as praise by filmmaker Ingmar Bergman. Tarkovsky later found himself displeased with some of the creative decisions on the aesthetics of the film, but it remains one of the best debut films of all time, and a highly poetic depiction of war through the lens of youth (however broken that lens may be). Tarkovsky first proposed the biopic on famous 15th century Russian icon painter Andrei Rublev in 1961 to Mosfilm, and spent the next two years writing the script with co-writer Andrei Konchalovsky, poring over medieval documents and texts on medieval life and art. After two years of filming, the art-house epic was finally finished, running almost three and a half hours in length- would only get one showing until nearly four years after filming was completed. Andrei Rublev is clearly a labor of love and incredible inspiration, and surprising has very little to actually do with Andrei Rublev. 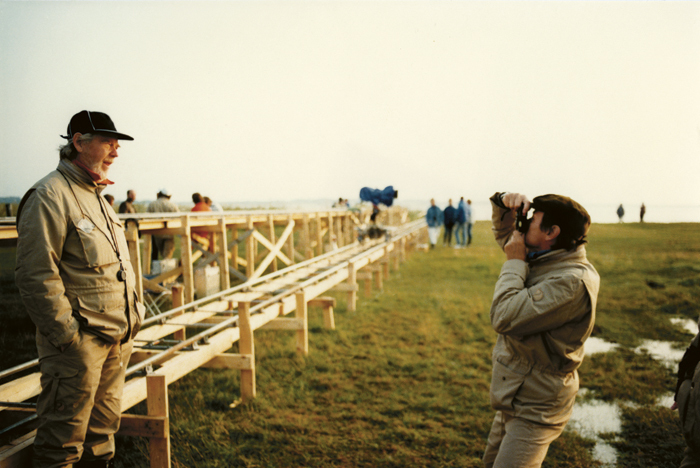 What Tarkovsky meant to do with the film is to show the connection between and artist and his times, showing the limitations and development through these limitations. He has little interest in making a straightforward biographical film- Rublev isn’t show actually painting anything, and even goes through a vow of silence during the film – the opposite of a typical Hollywood biopic, with little-to-no story arc; Rublev is simply observing his surroundings through most of the film, and not necessary involved in the action we are seeing. Like the rest of the films in Tarkovsky’s career, this is more about Tarkovsky than it is about Rublev- it’s his reactions to what he sees in Rublev’s work. 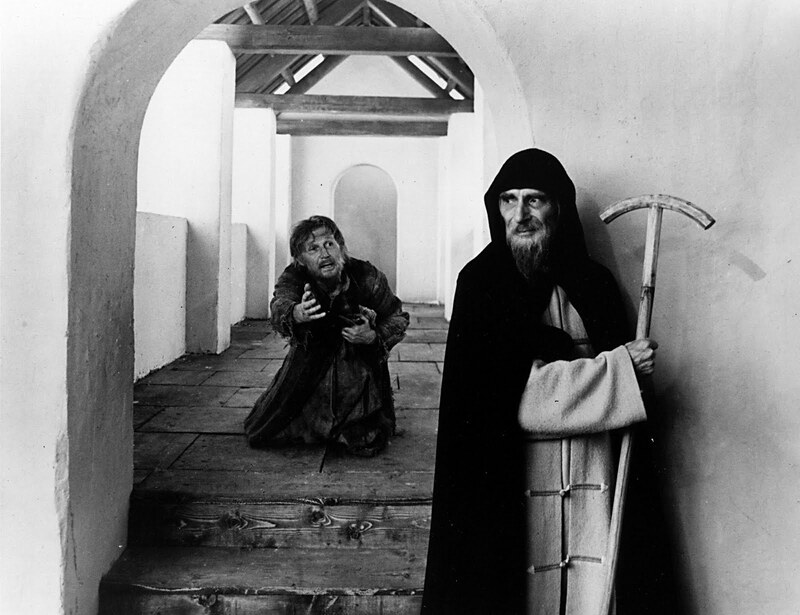 The film took three years to get a proper release, due to the Soviet government’s attempts to secularize Andrei Rublev’s work and make him more of a national hero than religious one. Tarkovsky himself dealt with the government censors, as they saw his film as being too religious for release. Placed in context of the Soviet Union at the time, argues University of Chicago Slavic Languages Professor Robert Bird, “it is a completely unique film.” There were no other films during this time dealing with religion in a sympathetic way. In this, along with its stunning visual style and unique non-linear narrative, Andrei Rublev is a masterpiece, and arguably the greatest ‘art film’ of all time.